The first time composer Tom Holkenborg—better known by his nom de boom, Junkie XL—heard his music in a film, it wasn’t part of the score. It was in the movie Blade, which opens with his track “Dealing with the Roster” playing as a crowd of blood-soaked vampires dances at a rave. (Hey, it was 1998.) It was one song in one film, but it changed how Holkenborg saw his future. “I was so surprised by how my music worked [when set] to picture that I really wanted to pursue that,” Holkenborg recalls. Nearly 20 years later, Junkie XL isn’t an obscure electronic musician who gets an occasional song in a film. He’s the unmistakable mastermind behind three of the biggest films of the past year: Mad Max: Fury Road, Deadpool, and now, alongside tentpole composer stalwart Hans Zimmer, Batman v Superman: Dawn of Justice. 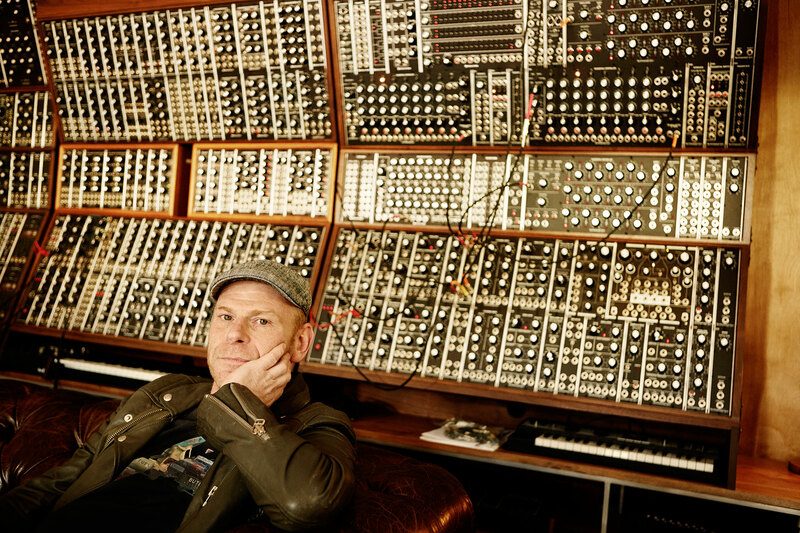 Along with composers like Disasterpeace and Jóhann Johannsson, Junkie XL is leading the charge for more experimental electronic music in movies. And he isn’t just doing it with festival darlings, he’s creating bombastic, widescreen-friendly scores for mainstream blockbusters. Blade may have stoked Holkenborg’s desire to write music explicitly for films, but it wasn’t a seamless transition from musician to composer. Like any aspiring hero, he had to train. “I knew I didn’t have enough knowledge about film scoring to step in and say, ‘I want to do music for this,’” he says. So when he arrived in Los Angeles in 2002, he immediately started meeting composers to learn how they worked. That year, he was asked to remix a song for a Nike commercial promoting the 2002 World Cup. The result, “A Little Less Conversation,” credited as “Elvis vs. JXL,” was an international smash hit. Despite the global success, and the fact that the song ended up in Stephen Soderbergh’s Ocean’s Eleven, Holkenborg still didn’t feel accomplished enough to take on big-time film scoring himself. Instead, he started assisting other composers and doing work on small indie films, giving him a series of “additional music” credits throughout the early 2000s. He wasn’t making Oscar-worthy scores, but his efforts caught the eye of Zimmer, who would spend the next couple years looking for ways for them to collaborate. Holkenborg and Zimmer knew each other as musicians before they started writing together. “I just knew Tom was really interested in film music,” says Zimmer, “and I realized quickly that he had a great mind for it.” But it took the score for Inception, perhaps the most noticeably influential film music since Lord of the Rings, to finally bring the two together. Snyder was so impressed with what the collaboration yielded on Man of Steel that he recommended Junkie XL as the composer for 300: Rise of an Empire. That sequel came out the same year as XL’s score for Divergent, and his inclusion in the “Magnificent Six” team Zimmer put together for the Amazing Spider-Man 2. That buildup put Holkenborg on the verge of a breakout, which was perfect, since he was about to release his most arresting score yet. That score, of course, was for Mad Max: Fury Road, and Zimmer was so excited about what he heard from it that he couldn’t stop heaping praise on XL’s work ahead of the film’s release. The trailer was a case study in how to build anticipation for an absolute thrill ride, and a big part of that was the thundering soundtrack. Just as George Miller’s imagination cooked up something as insane as The Doof Warrior—Immortan Joe’s blind, electric guitar-wielding herald in front of a wall of amplifiers—so did Holkenborg instill that imagery with a hair-raising cacophony. Earlier this year, Deadpool added onto that success. Though that film uses cheeky soundtrack choices like Salt-N-Pepa’s “Shoop,” the key action scenes utilize Junkie XL’s demonstrated talent for heightening excitement. And the most indelible moments in the Batman v Superman score feel like natural progressions from Fury Road: Wonder Woman’s theme, for example, is a chorus of pulsing drums and electric guitar, and Lex Luthor’s soundtrack is a baroque combination of piano and strings. It took over a decade, but Holkenborg is now a film composer on the same level as his most in-demand colleagues. Musically, he’s done just about everything a person can do, but now—almost 18 years after Blade—he’s becoming the go-to blockbuster guy. But that doesn’t mean its gotten any easier. Hard, but not impossible, and if you’re going to call yourself Junkie XL, you’d better be prepared to go big. And he’s only getting bigger: His score for Gareth Edwards’ Godzilla sequel crashes into theaters in 2018.